The frame is gep-tsx5, Named Viper. 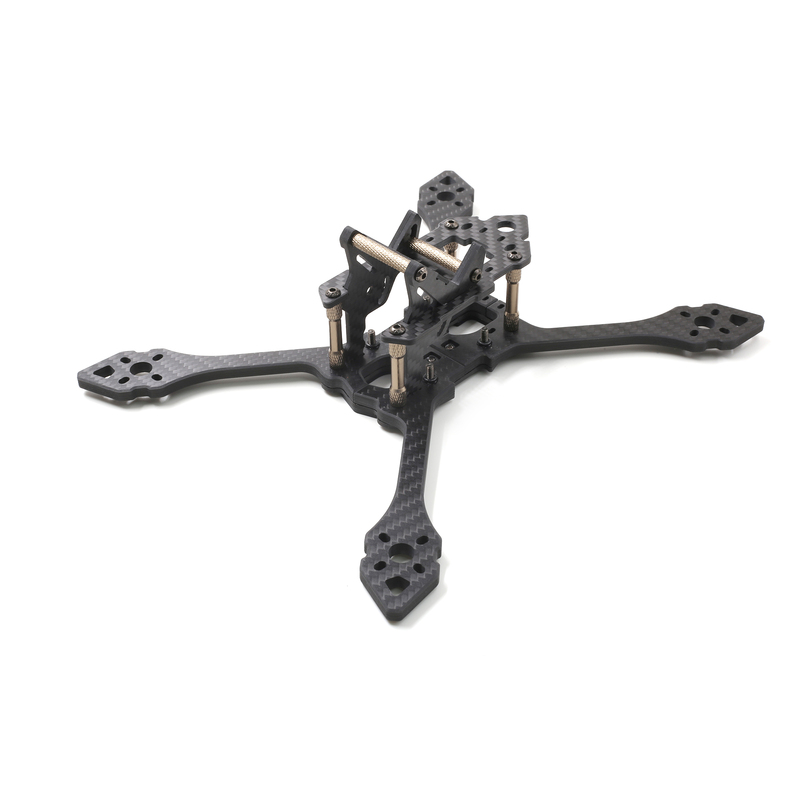 GEP-TSX5 is made of 3K Carbon Fiber Quadcopter Frame plates and the Grand 12.9 YFS screw. The Stretch-X made it more adapted to the Racing. GEP design teams decide to use 5mm(thickness) x 9mm(width) Arm to overcome wind resistance effectively. The motor seat is redesigned to a large extent to protect the motor. The camera seat works for most brands, such as Runcam swift /swift2, Foxeer HS1190 and so on. The camera 20 to 60 degress. But I’d like to introduce the GoPro. 35-58 degress. Applies to most scenarios. Such as Racing and Freestyle. 1. All plate use 3k full Carbon, make sure strength. 2. Layout stretch-X. High speed. Good apply to racing or freestyle. 3. The arms is 9mm width and 5mm thickness, overcome wind resistance effectively. 4. Redesign motor seat, make sure motor no easy broken. 5. Good side board design, good protection of the camera. 6. GoPro seat, 35 to 58 degress. 7. Motor to motor is 220mm, make sure the air unobstructed. 8. YFS brand screw, 12.9 class hardness. 9. Battery antiskid stick, make sure the battery no lost.